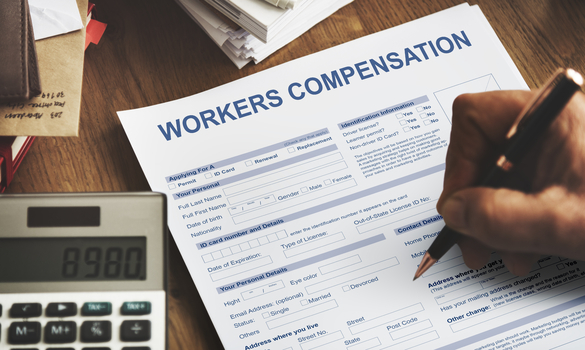 Understanding and implementing a company’s workers compensation policy can be a difficult job. As the HR department of a business, it is your job to make sure that incidents and injuries in the workplace are taken care of. This means that you will also be the central communication system for both the employee and the employer. Here are five things to keep in mind when reviewing workers comp policy. The most important thing when it comes to workers comp is preparedness. If the HR department knows how to handle each potential situation, they will be prepared for anything. One of the major things that change when it comes to workers comp is the laws based on location. These laws change based on local, state, and federal requirements. It is the job of this department to prepare themselves with the qualifications and restrictions of each level of laws. If the HR department is aware of all of these specific qualifications, they will be more successful in handling situations. Additionally, there are cases when an employee will get injured on the job, but won’t report it until they no longer work for the company. The HR department needs to make sure that they can handle a situation like this as well by seeking out legal advice, even though it may be less common. The HR department needs to make sure that all employees are aware of the benefits that they would receive with workers comp. This can be stated easily in the employee handbook. Keeping employees informed on their benefits and options will create better employee relations. It also gives them a sense of security in the case of an emergency. Another method to keep employees informed is to provide them with guidelines on how to report accidents. Let them know that you are prepared for any situation. Sharing this knowledge will ensure that you and the employee will be able to handle any situation that may happen in the workplace. The best way to keep on track with an incident is to stay informed with everything that happens. As the HR Department, it is your job to make sure you understand from the employee’s point of view what happened. Also, if there was another person who was present at the time, make sure you talk to them as well. Next, it is your job to inform management of what happened, as well as the future steps that need to be taken by the company. When it comes to workers comp, there are a lot of forms to be filled out. It is the department’s job to make sure everything is done by both the employee and the employer to ensure that everything is handled correctly. The HR department must also keep track of specific laws to make sure workers comp is given correctly. For example, FMLA is a leave based on family and medical-based paid leave from work. If an employee is eligible for FMLA, their eligibility for workers comp may change. This may also apply for workers with disabilities under the ADAAA. It is the department’s job to keep track of eligibility for each employee to ensure proper risk and compliance practices. Keeping track of this can also protect the company from potential court hearings from negligence. Most importantly, the HR department is in charge of benefiting both the employee and the employer, and there is a lot of compromise when it comes to this situation. Keeping track of these laws can help prevent a lawsuit or any negligence to personal employee needs. In addition to workers comp policy tips in human resources training, the biggest thing to keep track of as the HR department is to make sure that everyone is being taken care of. It is easy to get caught up in one situation when you have many people to tend to. However, keeping track of everyone’s needs can ensure that everyone is happy. HR is the point of contact for everyone, and as long as everyone is accounted for, there should be no unwanted issues. The best thing for employees is to be available for their every need. This goes the same for employers. Knowing that the department can be depended on makes sure that everything will run smoothly. Overall, handling workers comp can seem like a stressful deal. The most important thing is to keep on top of every situation, and be prepared for everything. Keep track of any related laws to protect the company, and stay on track with everyone’s needs. Having this part of HR running smoothly ensures that the company can depend on them, and gives a sense of security when it comes to a case of emergency.